The new FOX drama Deep State might call to mind a phrase President Trump likes to tweet, suggesting government agencies or the military are secretly manipulating government policy, but the show itself is fictional, pure drama. It stars Mark Strong, and was partly shot in London. Take a look at the trailer here. It starts on Fox UK on Thursday April 5 at 9pm. Filming in summer last year included locations in Lambeth, Southwark, Kingston and Camden. FilmFixer manages the film office service for those local councils. FilmFixer director Karen Everett says, “A flat at Coverley Point in Lambeth played a home on the fictional East London Mozart Estate. 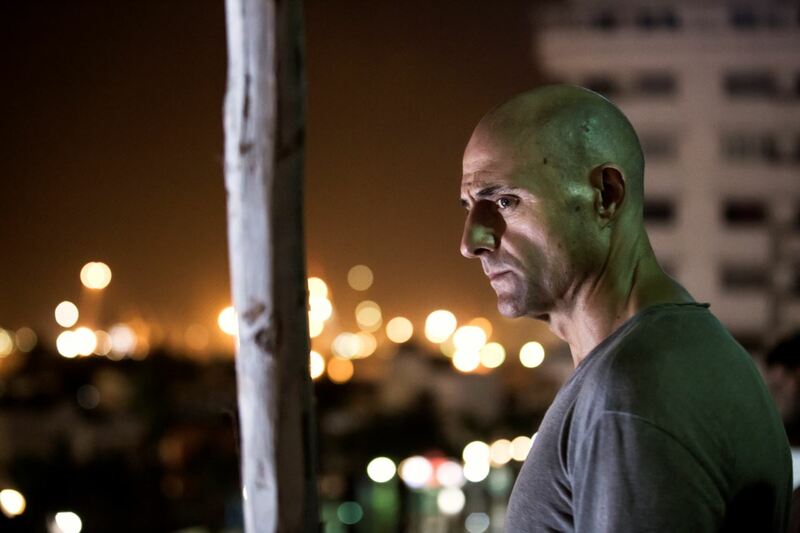 “Mark Strong as ex spy Max Easton gets to the estate and asks some local teenagers for help. He has to convince the character Bijan that he’s not an Immigration officer before being allowed inside the flat. “Things escalate into dramatic scenes with a doorway splitting open and masked men breaking in, operatives watching from the street, and Max having to leave without being seen. “Lambeth’s Vauxhall Gardens Community Centre on Glasshouse Walk played a mosque, that characters Bijan and Ashkan are leaving after morning prayer. They are approached by officials, shown a photo of Max and asked if they know him. “In Lambeth Gardens on Albert Embankment, a character spots Max and starts to back away. He says he just wants to talk and convinces her to hold up. “Vauxhall Pleasure Gardens in Lambeth hosted scenes of two characters talking on a park bench. The production made a very kind donation to the Vauxhall Gardens Tenants and Residents Association. “Nearby, some interior night scenes were filmed at West Square in Southwark, the historic streetscape that’s home to the Imperial War Museum. “In Camden, the production filmed a character jogging through Russell Square Gardens, having to stop and answer his mobile phone.